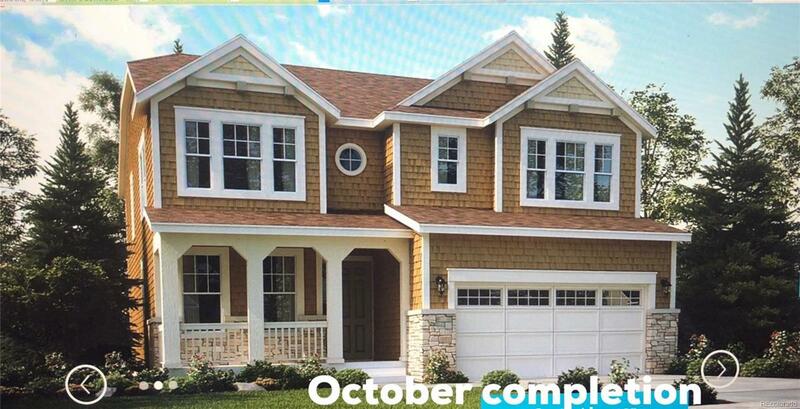 Davenport Model is a 2,584 square foot 2 story home that has a very open and spacious feel to be completed in September. 4 bedrooms 3 bathrooms plus loft and study/den including 9ft ceilings in Basement. The master suite includes a separate shower and garden tub, dual granite vanities and a massive walk-in closet, while the secondary bedrooms have easy access to a full-size bathroom. The main level of the home has an expansive open area that encompasses the kitchen, breakfast nook, and family room. The kitchen features a walk-in pantry and a large working island and just off the kitchen is a convenient owners entry from the 3 car garage. Buyer to verify HOA fee.